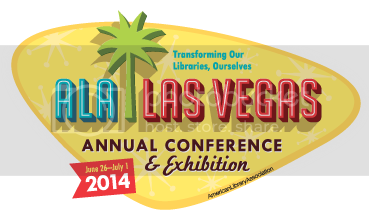 I had a great time at the American Library Association Annual meeting in Las Vegas. As always, I'm refreshed and invigorated with new ideas! There were a number of poster sessions and panels that gave me a lot to think about. For me, at least, I felt that a lot of my currently held beliefs were confirmed. It's good to hear that my thoughts and leanings are very much in line with what the best professionals in my field are currently practicing. Two of my storytime heroes, Betsy Diamont-Cohen (the inventor of Mother Goose on the Loose) and Saroj Ghoting talked about how repetition and music work well in storytimes. It's true! I know babies and toddlers love the familiar routine of some of my repeating songs and felt boards. I may start adding more conversational asides, as needed, for parents and caregivers in my storytimes. There seemed to be a general feeling that Summer Reading programs should not be about prizes, prizes, prizes. I couldn't agree more. I've said it before, "Reading is the prize!" (at least it should be) In large part, the trend away from giving away useless plastic tchotchkes is being driven because of shrinking budgets, but another thing to consider is that limited funds should be spent on programs, so that Summer Reading is an experience that you'll remember for a lifetime, not a cheap toy that breaks at the end of the summer. I think I showed some pretty incredible restraint on the Exhibit floor. 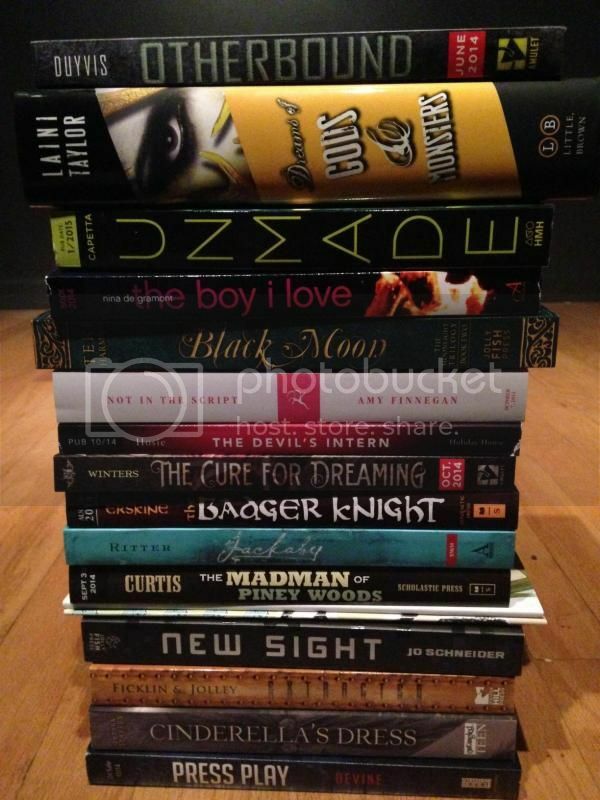 I picked up a nice pile of ARCs, but not so many that I had to resort to shipping them back home. Everything fit in my carry-on! If I'd gone hog-wild, I could have gotten four times as much... but I didn't want to be plagued with guilt for picking up advance copies and then not really reading them. I loved meeting Laini Taylor! Her supernaturally pink hair is even more striking in person. When she signed Gods and Monsters, she commented, "Madigan McGillicuddy! That sounds like a character in a book!" I laughed and said "Authors always tell me that!" Yikes! I hope I didn't sound conceited! It's true, though. I'm really glad I made it to the YALSA mixer - I met some really cool ladies who all turned out to be fellow nerds, Whovians and Walking Dead fans like myself. I felt inspired by all the program ideas they mentioned! Most of all, I really appreciated everyone who tweeted during the convention, as it's the next best thing to being able to attend 2 or 3 different events at once.